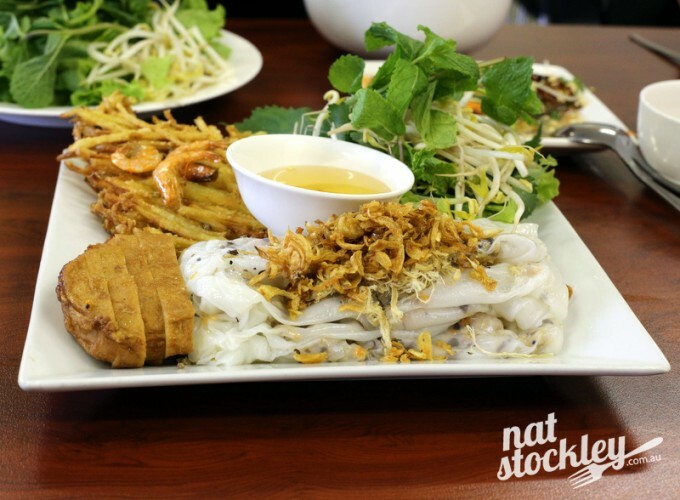 No shortage of Vietnamese eateries out in Sunshine, however Xuan Banh Cuon distinguishes itself from the pack with Northern Vietnamese dishes that are difficult to happen upon in Melbourne. 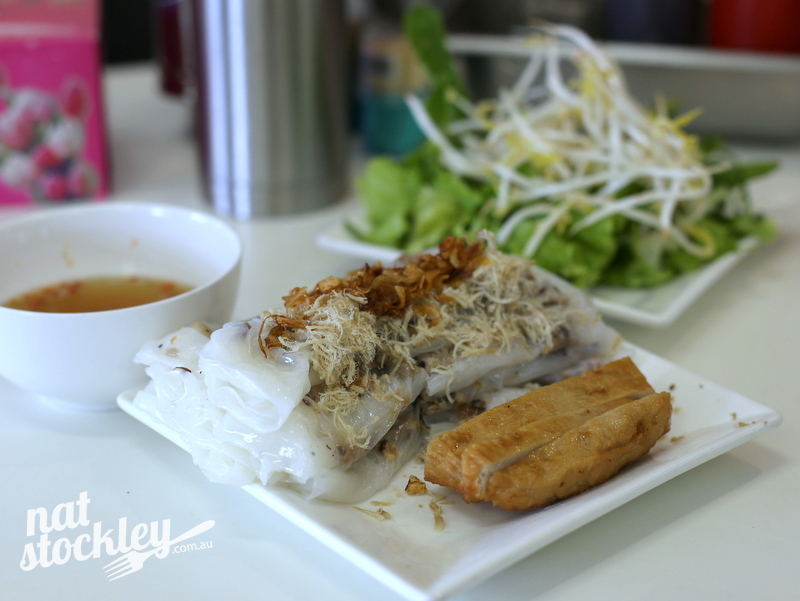 Their namesake, the Banh Cuon is heavenly, featuring paper thin translucent rice paper rolls with a filling of pork, prawns & finely diced mushroom topped with pork floss and fried shallots. 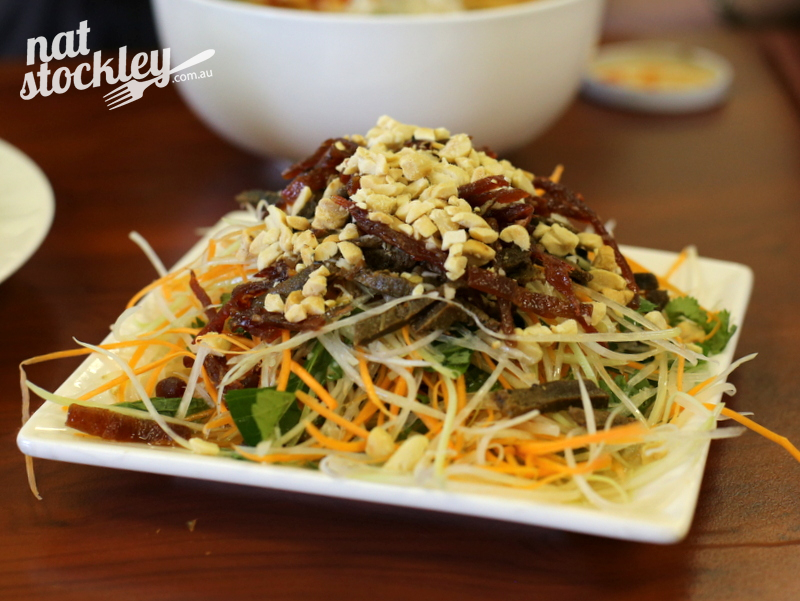 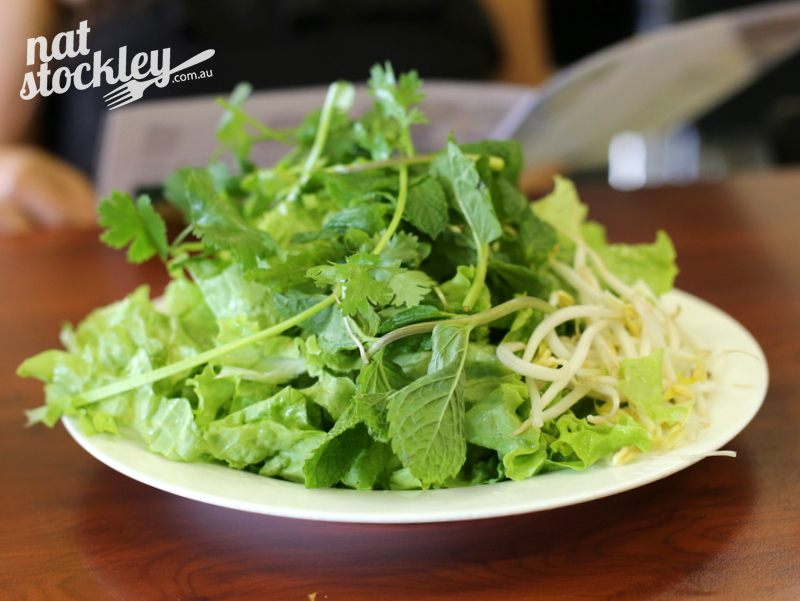 It comes with a mountain of fresh greens and herbs, plus a nicely balanced fish sauce based dipping sauce. 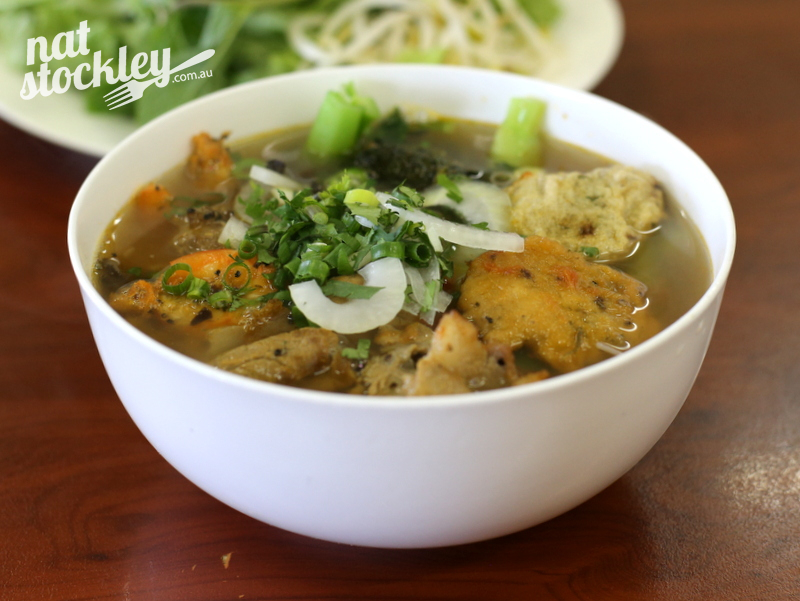 The menu also lists an interesting selection of soups which extend beyond your typical bowl of Pho, including Banh Da Do (Red Rice Noodle Soups) and Bun Thang (A Northern style soup with chicken, shredded Vietnamese ham & omelette). With most of the dishes priced at around the $10 mark and a friendly family running the show, this place rates as one of my favourite cheap eat discoveries in recent years.